The first thing that you need to put in your travel first-aid is your regular medicines. If you are suffering from hypertension, type-2 diabetes, high cholesterol, thyroid disorders, or any other such chronic medical conditions, do not ever forget to carry sufficient prescribed medications with you. It will not only keep you well throughout the trip, but also help you get the most out of it. 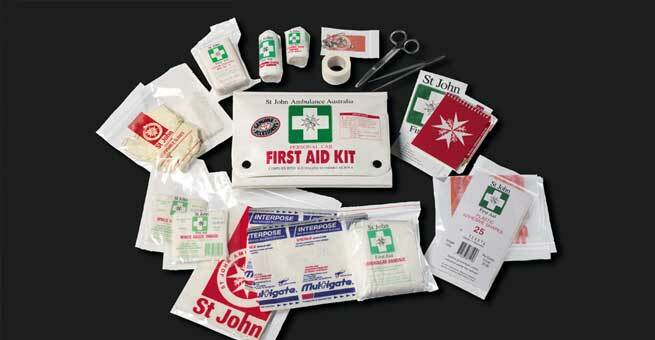 A band-aid is one of the most common elements of a first-aid kit. From a mild scratch to a severe cut – whatever the emergency is, nothing can be a better solution than it to avoid infections. Even if your trip is a short one, your first-aid kit should never lack enough band-aids. This is another absolute essential that you can never miss to pack, especially if you are planning to try trekking for the first time. Carrying a handful of blister plasters in a variety of sizes will help you treat cuts or grazes, which are know to be the most common forms of minor injury. A supply of individually wrapped sterile square gauze will turn out to be the ‘jack-of-all-trades’ in your travel first-aid kit. Just a layer of gauze is what you need to soak up blood and stop bleeding from a wound. It also works as a basic dressing for small injuries by cleaning the wound, keeping it sterile, and applying pressure to it. It goes without saying that the surgical tape is an indispensable part of a portable first-aid kit. In fact, you cannot secure a gauze or a bandage properly to a wound without the help of a surgical tape. You may need to handle something bigger than a cut while traveling and basic crepe or elastic bandages will aid in keeping your small dressings intact until you get some professional help. Just a couple of them is enough to manage emergency situations. Sitting in the vehicles all the time, walking a long distance, hiking mountains or riding horses, there are no dearth of reasons behind developing an acute pain or ache during traveling. So, make sure that you have a small pack of pain relief tablets (basic paracetamol) in your first-aid kit. You can choose from ibuprofen, aspirin, paracetamol, and so on. These will also help you get rid of headache, menstrual cramps, muscle ache, etc. If you are prone to motion sickness, these medications are a must for you. There are a number of drugs available in the market and you need to choose the right one as per your problems. Just have a talk to your doctor and follow his / her suggestions. A good antihistamine cream is also a useful addition to your kit as it keeps away annoying issues, such as sudden rashes, bumps, and itchiness. When it comes to traveling to a new place, the most common ailment that we need to be careful of is diarrhea. There are oral rehydration solutions under various brand names, which can be used for such emergency moments. Some other drugs like loperamide can be taken for a short-term relief in mild diarrhea, while ciprofloxacin can work as an antibiotic in case of emergencies. Usually, when we suffer from medical conditions like diarrhea or frequent vomiting, our body loses a large amount of fluid. It needs to be replaced immediately in order to prevent serious conditions. Here comes the importance of water purification tablets. If you keep this in your travel first-aid kit, you do not need to worry about the purity of the drinking water wherever you go. 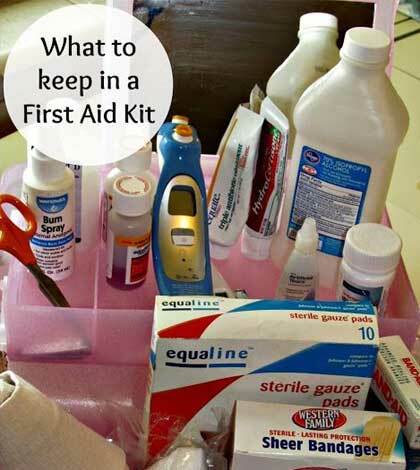 Infection is another important concern that we should take into account while assembling our travel first-aid kit. There are several antibiotic medicines (OTC) that can cure infections and inflammations effectively. However, you should consult with your physician before purchasing these as they have a wide variety of functions and strengths. When it comes to preventing a cut or wound from getting infected on the way, nothing works better than an antiseptic wipe. Just keep a small handful of wipes in your kit and clean your injury with it right before applying a dressing. You may also keep antibacterial creams handy to heal scrapes faster. Traveling means tasting and enjoying a variety of new and rare food items. But indulging in some mouthwatering dishes can take a toll on your digestive system too. So, if you want to stay away from issues like acid formation in stomach or frequent heartburn, you have to keep a fair amount of antacids in your first-aid kit. Check any commercially available first-aid kit and you will find a small pair of scissors in it for sure. From trimming a gauze to resizing a bandage, it can help you in a number of ways during your trip. Keep the first-aid kit in your checked bag while traveling by air. Otherwise, the pair of scissors will be taken off by the airline security. It may sound surprising but tweezers also make an important part of your first-aid kit. They turn out to be really useful in cleaning a wound by getting tiny bits of stone or dirt out of it. Apart from these, you should also find some place for common wellness items and devices such as thermometer, skin-disinfecting agents, antimalarial prophylaxis, etc. in your travel first-aid kit. Consider the type of trip and tailor the kit accordingly in order to make the most of it during need.